The U.S. government is being accused of setting back the efforts of shark fin conservationists by proposing laws that will preserve the market for shark meat and shark fin soup. The Obama Administration and the National Oceanic and Atmospheric Administration (NOAA) are being targeted as the main culprits. Shark finning, the practice of cutting off a shark's fin and throwing the animal back into the ocean, was banned by Congress in 2010, but the ban still allows fishermen to take the entire shark. The ban didn't address the general demand for shark fin and other shark products; the law only protects a portion of the shark and a specific practice. But eight states pushed back -- including California, New York and Hawaii -- by banning the sale or consumption of shark fin, by enforcing fines ranging from $100 to $5,000. 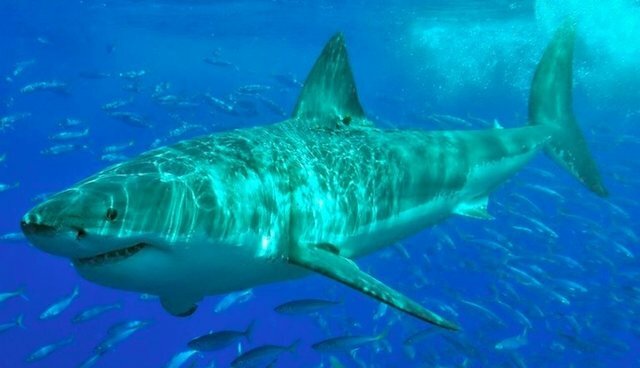 Then, NOAA, the federal branch of the government that focuses on the ocean and atmosphere, said that these state laws are in conflict with the federal shark fin ban. The agency proposed a regulation to overturn the state bans last year, saying that they impinge on fisheries management and the right of fishermen to sell shark products. "Congress chose to prohibit shark fins at sea, not to impose a universal prohibition on the possession or sale of shark fins after they are landed," Connie Barclay, a NOAA spokeswoman, told the Guardian. Shark advocates say that the federal government's move is interfering with efforts to curb demand for shark products. Under the state bans, demand decreased by two thirds. "The proposed regulation is actually setting conservation back," Angelo Villagomez, a shark expert at the Pew Environmental Trust told the Guardian. "The federal regulation would overturn the state and territorial shark fin bans. The states that banned the sale of shark fin soup would now have to allow the sale of shark fin soup Dominique Cano-Stocco, campaigner for Oceana, said that the only way to stop the demand is to keep the meat and fins off the market in the first place. "Oceana is concerned that by challenging the state shark fin ban NOAA is halting the progress we have made in the US," said Cano-Stocco. "The U.S. has been a leader on this, so it just doesn't make sense, what NOAA did."